Boise’s city council voted late Tuesday night to allow St. Luke’s Health System to move forward with its redesign of Bannock St. through its main Boise campus. The move ends an appeal by the East End Neighborhood Association aimed at rebalancing the design towards east-west traffic. Officials for St. Luke’s Health System said the design was the output of a long process that involved a variety of community stakeholders over more than a year. EENA officials are frustrated city staff approved the design at the administrative level without a public input process. Smith said her group felt the design was “very close” to what it hoped to see, but it should include marked, delineated north-south crossings for pedestrians so that each traveler in a busy area would know their role. 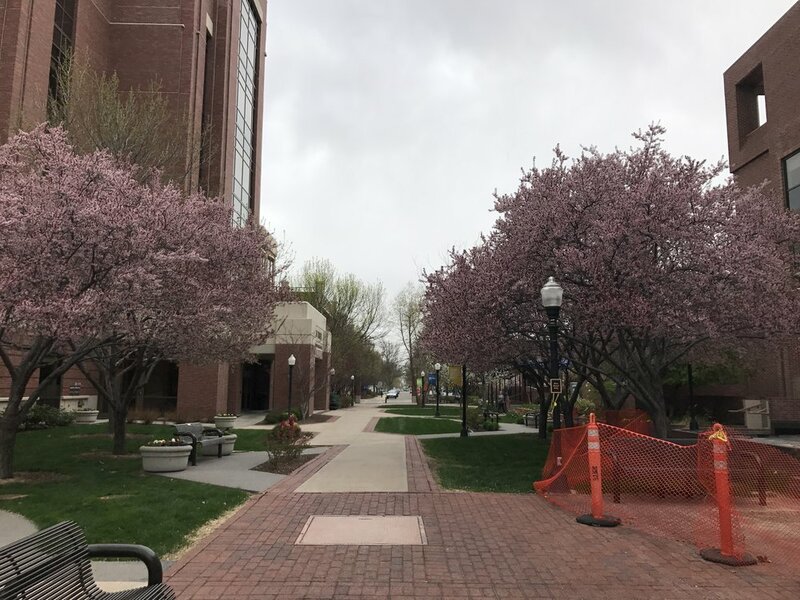 The City of Boise required an easement down the previously-closed Bannock St. corridor as a requirement for its OK to close Jefferson St. to the north for the campus expansion. The city stressed that Bannock could be opened to all modes of transportation, including cars. Once St. Luke’s completes construction on the Bannock St. redesign, a year-long testing phase would begin to see how the area functions. The City of Boise has final say on how the area is laid out after the test. St. Luke’s officials have long advocated for a more plaza-focused design, dating back to a charette process in 2017 – while EENA reps have advocated for through traffic for bikes and cars to mitigate the loss of connectivity on Jefferson St.
Mark Bowen, an engineer hired by St. Luke’s said conclusions should come after the year-long test. After debate, city council voted 3-2 to deny the appeal, allowing St. Luke’s to move forward. Councilors Scot Ludwig, Holli Woodings and TJ Thompson voted in the majority, while council president Lauren McLean and councilor Lisa Sánchez dissented. Elaine Clegg, who participated in the charette process and was critical of some elements St. Luke’s proposed was absent. Mayor David Bieter also made statements during the hearing and after indicating he was in favor of the modifications EENA sought – but only votes in the event of a tie.